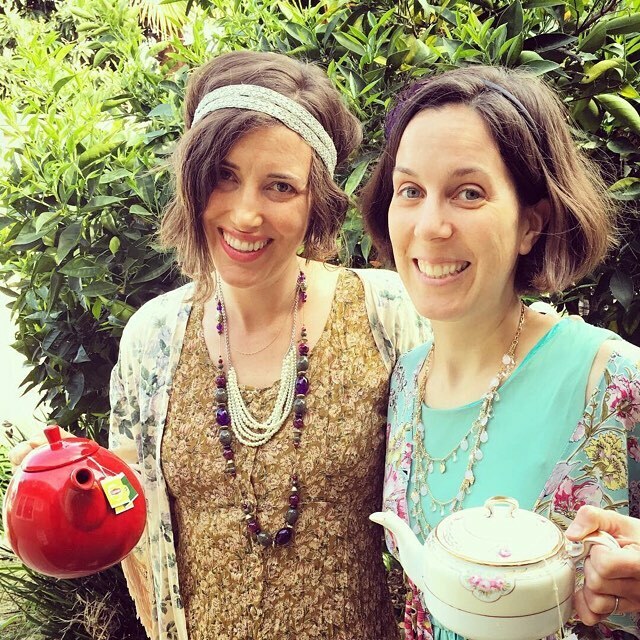 Last weekend I hosted an English tea party. I schemed up this party idea with some friends last month when I realized the series finale of Downton Abbey was coming up today (! ), March 6. I figured what better way to honor the end of one of my favorite shows than with an elegant afternoon tea. Photo courtesy of @csharkness1 on Instagram. I was eager to try some new recipes so I prepared a lot of the foods from scratch. My girlfriend, Cathy, agreed to let me raid her grandma’s china cabinet to borrow antique teaware, plates, and crystal. Lipton offered to donate the tea for the event and sent us an assortment of green, black, and herbal teas–they have some fun new flavors that they wanted to show off. 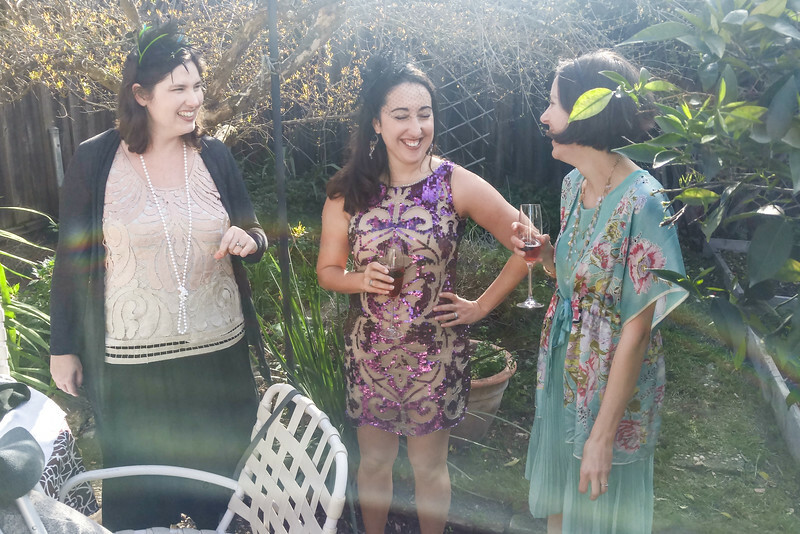 I invited my friends to dress up! 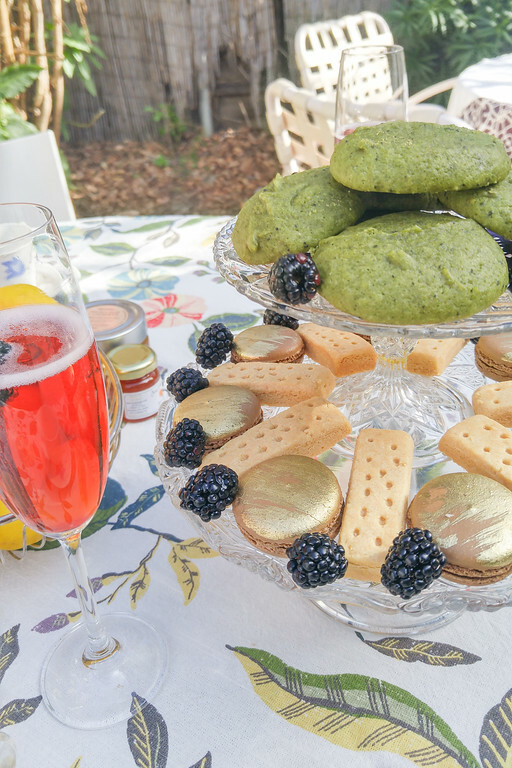 Here are some photos from our Downton Abbey afternoon tea followed by some tips for planning an afternoon tea. Home-baked scones using the recipe in this post! 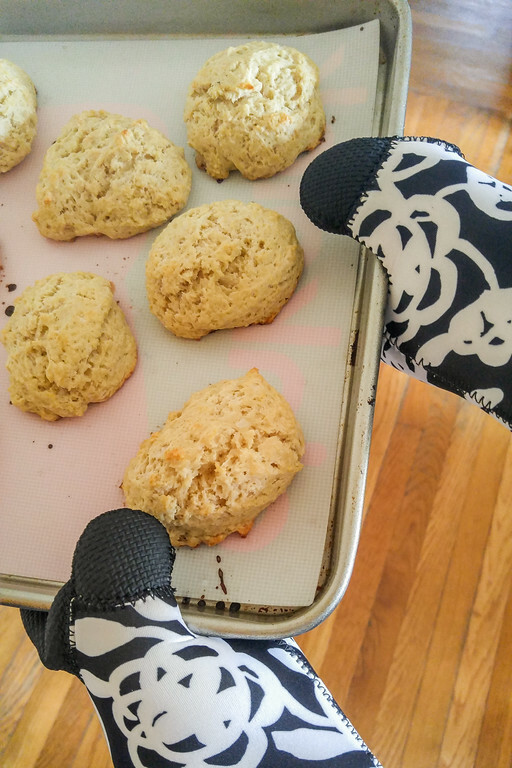 (Appropriately enough this was the first time using these “Garden Rose” pattern oven mitts). I also made homemade lemon curd using the lemons that have been spilling into our yard from our neighbors tree. Bite-sized tea sandwiches using the “cucumber with lemony dill” and “vegetable spread” recipes in this post I found on Pinterest. The spread, including a makeshift 2-tiered sweets tray that I pieced together using two of Cathy’s crystal cake pans and some QuakeHOLD earthquake putty. 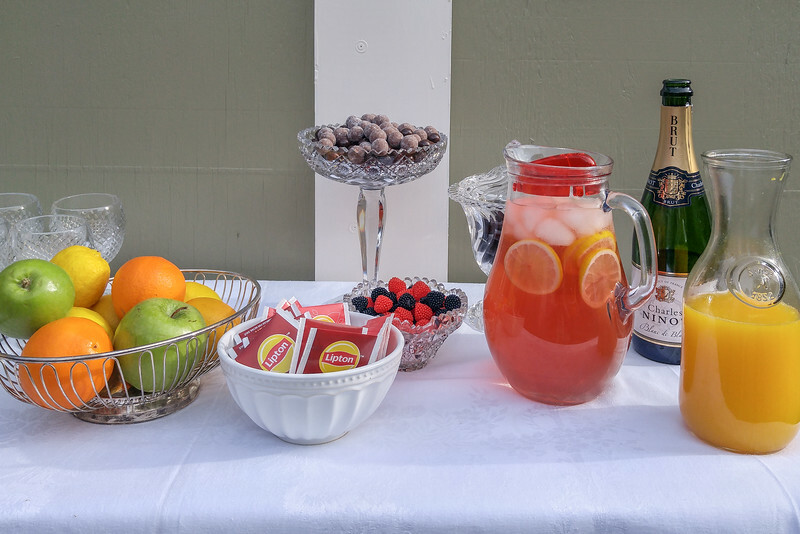 Beverages + sweets including mimosas with fresh-squeezed orange juice from our tree and peach-mango iced tea. 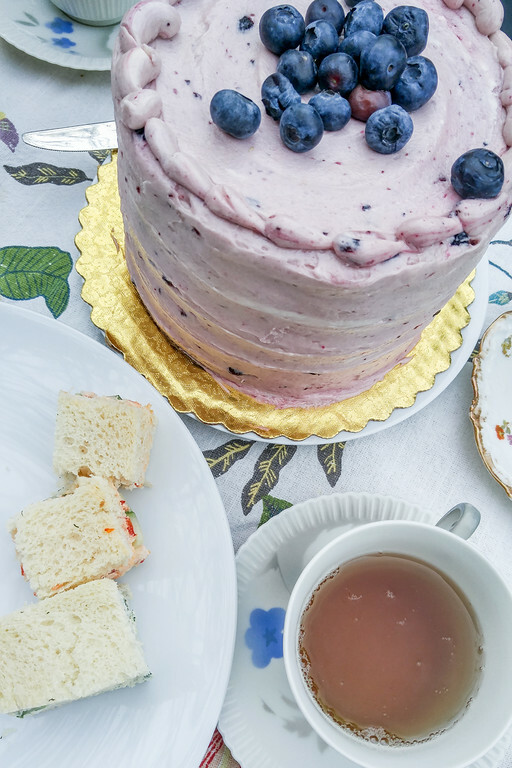 My friend, Lindsie, brought this gorgeous blueberry cream cake which paired well with the blueberry acai green tea. Some lovely ladies! 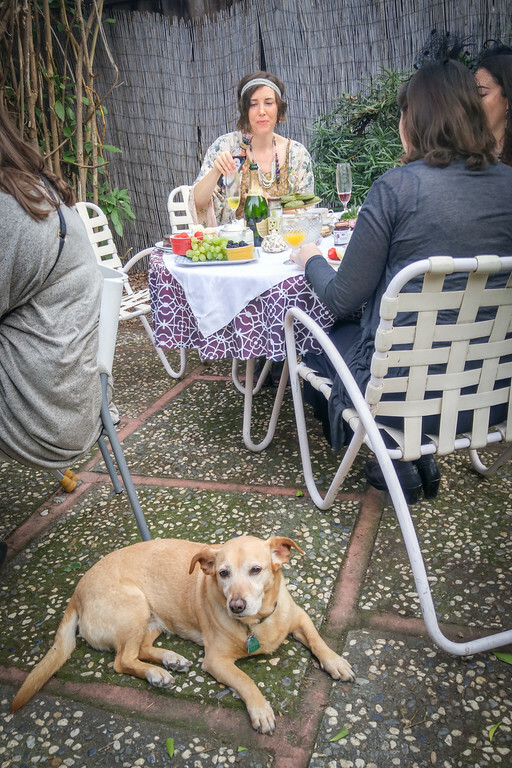 Sadly, I didn’t get photos of everyone because I was too busy gabbing — and topping off tea cups and wine glasses! 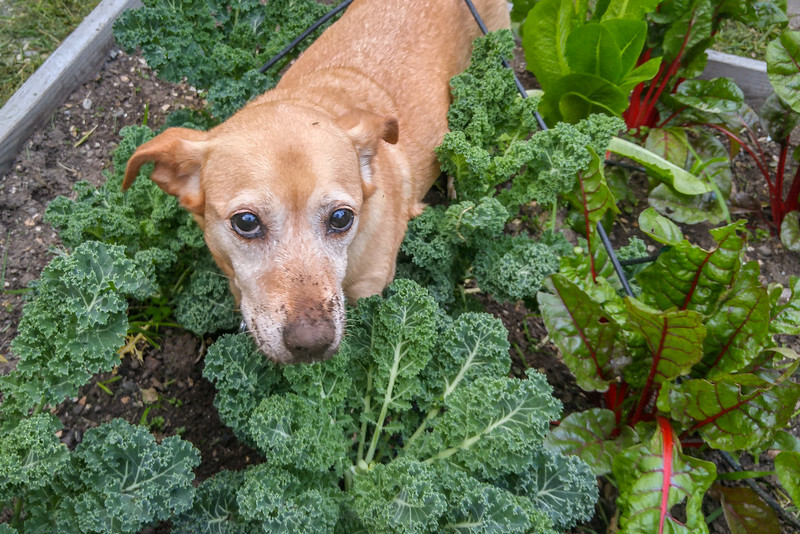 Someone dropped a strawberry and instead of eating it, Posey decided to bury it in the garden. 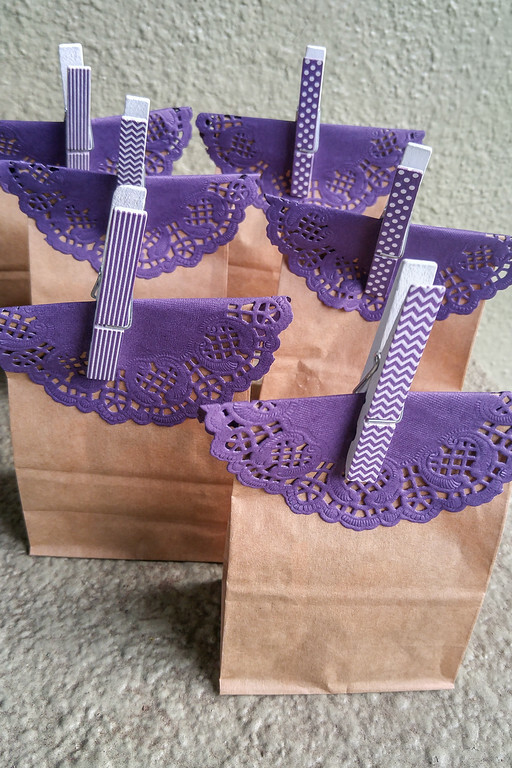 And last but not least, gift bags! I put together a selection of the Lipton flavored teas and some matcha (green tea) candies that I got at the Japanese grocery store. Scour thrift stores or your grandma’s attic for vintage (or vintage-looking) tea pots, tea cups, crystal, silver, and china. Mismatched is okay and looked great! Our local Dollar Tree had lots of good finds if you are planning the tea party for kids. Have at least two tea pots–one for a black or green tea, another for an herbal tea. One tiered cake stands for each table. I found one pretty one at TJMaxx on clearance for $10 and patched together one as noted above using grandma’s china. I love this DIY tiered stand craft idea using things you can get at the dollar store! White tablecloths are traditional and look elegant. Flowers or fruit on the table for a centerpiece. Hot tea: Provide a variety of black and herbal teas. 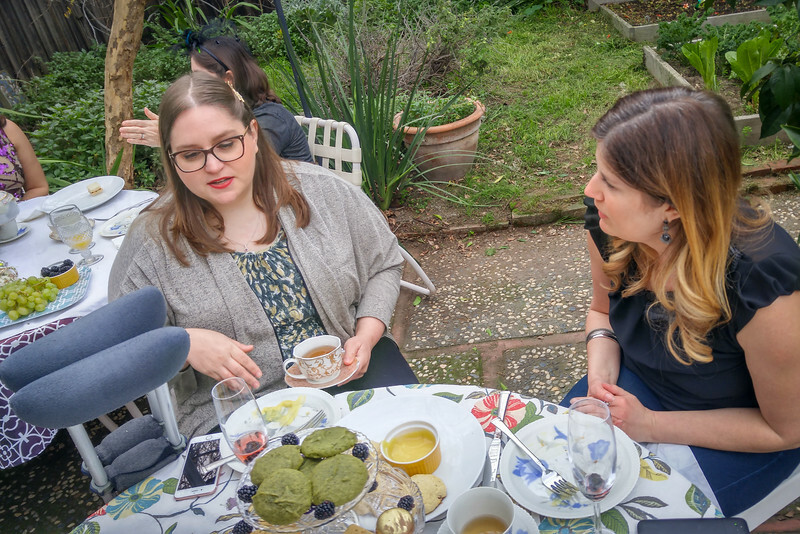 Earl Grey and English Breakfast teas are traditional black tea options, but the bold and interesting herbal blends we shared (especially Lipton’s blueberry acai green tea) were the most popular. Even Posey agreed… she ripped into the first box I got because it smelled so good! Iced tea: Provide a fun fruity, iced tea if it’s a nice day. The Peach Mango, as noted above, made a great iced tea and it was pretty pink to boot! Get $0.75 off any 1 Lipton Black, Green, or Herbal 20ct tea, using this coupon. 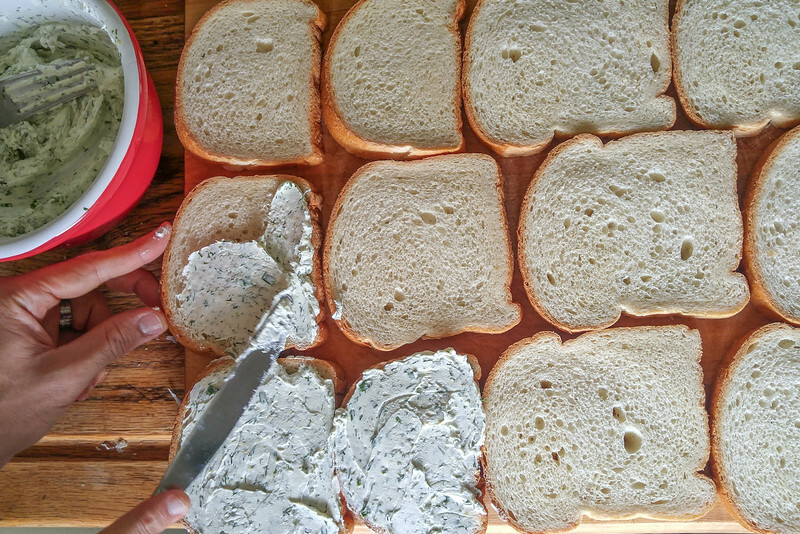 Savory tea sandwiches with the crust cut off. Scones plus a variety of sweet and tangy spreads: lemon curd, clotted cream, and jam. Sweets: Some homemade creations and store-bought prettiness. Cathy brought the French macarons from local patisserie, Chantal Guillon. Make as much ahead as you can. The scones and sweets can be made a day or two in advance. Tea sandwiches should be made immediately before the party so they don’t get soggy. Flowy dresses, satin, and muted tones. I made this Downtown Abbey Outfits board on Pinterest for some 1920’s inspiration. …are always fun! I put an assortment of flavored Lipton tea bags in each one and a few Japanese matcha green tea candies. 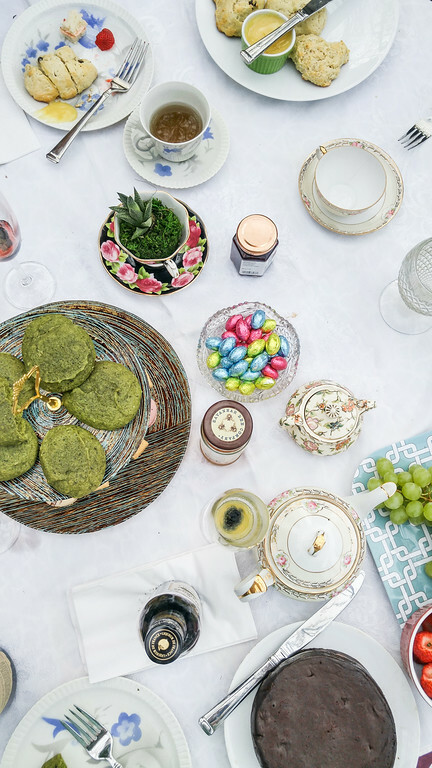 Do you have any favorite afternoon tea recipes or ideas? Fabulous idea! Fabulous photos! Thanks for sharing. Thanks Cass for all the hard work and effort you put into this party! It was so lovely! You are a gem! Aw, this sounds like so much fun, and this an awesome guide! Planning a party can certainly get a little stressful at times, but if you put in all the right work and prep time, the results will be totally worth it! Nicely done! Thank you so much for sharing this!